Now Clausi want to Demolish our Historic Prison! A vital piece of Sunbury’s historical fabric and a huge potential tourist attraction has a massive question mark hanging over its future. We all know that Vinny Clausi wants to close the prison and put the county into debt by building a new larger unit in his own backyard at Coal Township. What is not so widely known is that Vinny also wants to demolish the existing prison building and sell off the stone. A question was asked about this at the City Meeting last week – Monday 28th October. Persing told everyone that if the County wanted to pull down the prison then there was nothing he, the mayor, could do about it! Nothing Mr. Mayor? Really? Bartello believes that this building could form the centerpiece in a campaign to attract more tourism to our city. The establishment of a museum within its historic walls would draw in people from miles around. Is Persing totally oblivious to anything beyond the boundaries of his softball fields? 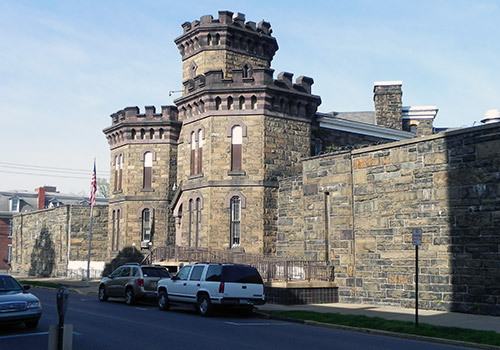 The county prison dates back to its 1877 opening, having been built in the style of a medieval fortress by local industrialist Ira T. Clement. The last Molly Maguire to be hanged, Peter McManus, was executed there in 1878. Throughout the US, old prisons are becoming huge tourist draws. Missouri State Pen drew over 17,000 visitors last year and the former Eastern State Pen in Philadelphia attracts 250,000 people each year. Special events such as ghost hunts and overnight paranormal investigations are also extremely popular. Sunbury could be sitting on a gold mine here, but Persing does not seem to care. It is not just the prison which is under threat. The Persing Regime continues with their plans to turn large swathes of Sunbury into parking lots. 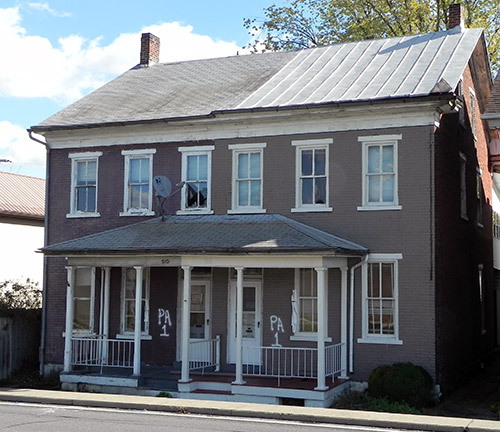 Latest house to face the chopping block is a brick built double at #310/312 Front Street. According to Jim Eister this building has bulging walls. Really? If he knew the first thing about building he would know how easy such a thing was to fix. Instead they are going to tear down this house and leave behind an open lot on which they will be unable to rebuild. 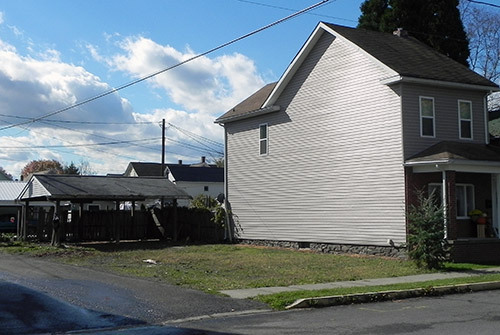 Also, city solicitor Mike Apfelbaum’s secretary just happens to live next door, and has been complaining about this property for a long time. Coincidence? If bulging walls were reason enough for demolition, they why not tackle the building situated on Spruce and Second – the huge dilapidated eyesore which would appear to be in imminent danger of collapse is owned by a friend of the Mayor. This would also explain the apparent lack of activity from the Code Office on this issue. It would seem to be that Persing prefers them to pick on the little people of Sunbury – the ones who can’t fight back. Then there was the house in Julia St which was recently demolished. Persing openly boasted on WKOK this week that, the day before the demolition was due to take place, there was someone working on the house, trying to fix it up! He seemed to enjoy the irony, because even with that knowledge he refused to halt the demolition process. They ripped it down the very next day – another empty site and another loss to our city tax roll. There will soon be more parking lots than houses in our city, and parking lots do not provide tax revenue. Who decides on which properties to demolish? Good question? As far as we can ascertain, it is largely down to Code Office inspection. This is the same Code Office who miss so many obvious problems in their rental inspections – things such as missing or damaged vents on gas water heaters, mold and rotting wood in basements, out of code wiring, dangerous chimneys. These are only a few of the many instances which have come to light over the last few months. It would appear that their role is more one of rubber stamping decisions taken elsewhere rather than making any useful contribution themselves to the decision making process. Joe Bartello wants the City to use a structural engineering company, such as the one used by HUD. They would come in, fully inspect a property, list all the defects, estimate the cost of restoration – in fact provide all the information necessary to make an informed decision whether to refurbish or demolish. It should not come down, as has happened, to a City Councilman arranging for a demolition simply to provide a parking lot for his tenants. The city is also incurring huge legal costs with all this property acquisition and destruction. City solicitor Mike Apfelbaum is certainly more than happy with the volume of additional work it is bringing to his office – work which is charged directly to the Sunbury Redevelopment Authority, and which is considerably increasing the City’s annual legal bill. Persing’s Grant Dependence keeping Us Poor! 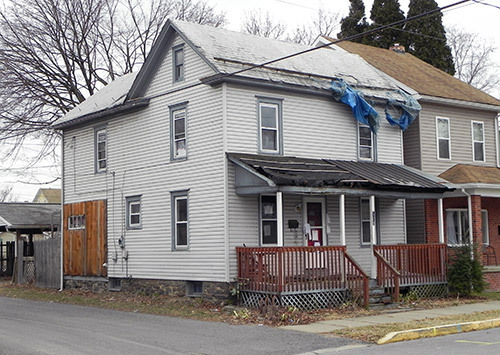 Why do we have so many blighted properties in Sunbury? Is this not a further illustration of the way in which Persing has run down our city, scaring away viable businesses in the process. Why would he do this? One answer is CDBG Grant money. The amount from this source largely depends on City poverty levels. The higher the poverty level (now 18%) the higher the grants. Persing depends on these grants to finance expansion to his sports complex – lower grants would mean less money available. SEDA-Cog, the unelected Non Government Agency (NGO) financed directly from the White House, who arrange for the grants, get paid a flat commission of 18%, which amounts to anywhere from $50,000 to $100,000 every year. Once more, as with Persing, it is in their financial interest to run down our city rather than build it up. We need to get them out of Sunbury and restore full control over our affairs to our own elected representatives. Completing our own grant applications internally is one area with huge potential savings for the City Budget – up to $100,000 per year. Joe Bartello has pledged to do just that. 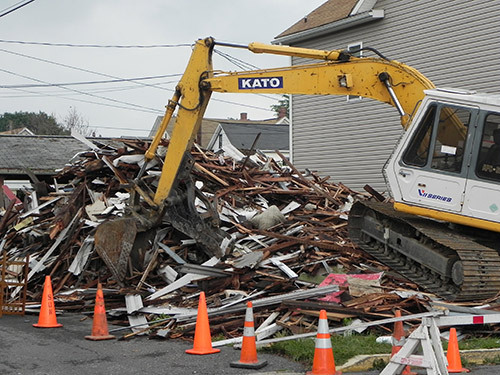 Also at the City Meeting on Monday, an $88,000 demolition contract was awarded to the same guy who almost destroyed the house in Race St belonging to Linda Metzger. Was he working under orders to do this? 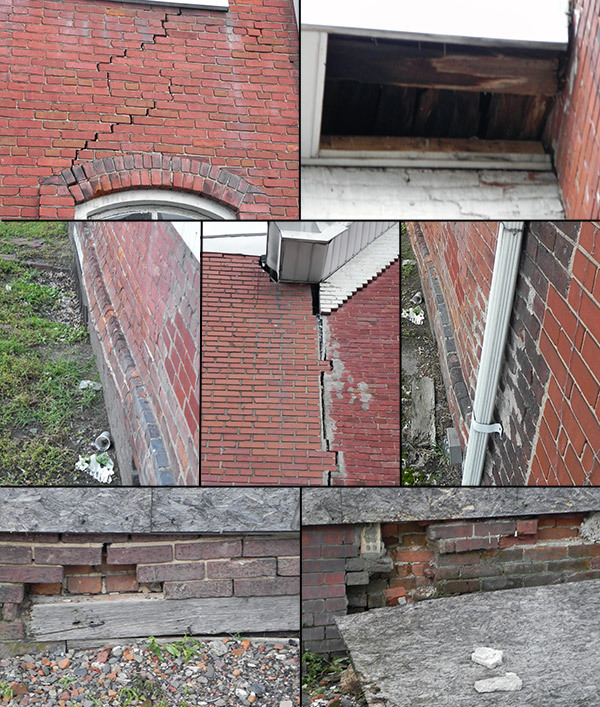 If the damage to Linda’s home had been caused by carelessness or incompetence, surely this in itself would be sufficient grounds to disqualify this company from bidding for any further work in our city. The Daily Item carried an article back in 2010 about a consultant’s forecast that Sunbury would be bankrupt by 2015. Since that time hardly any of his recommendations for avoidance have been put in place. So the City lurches ever closer to the abyss. Dave Persing is like the captain of the Titanic. He too believes he is unsinkable, and is steaming full speed ahead towards the awaiting iceberg. Don’t let Sunbury hit the iceberg!